These apricot muffins are an easy way to use dried fruit. Sometimes it’s not easy to get our daily serve of fruit, particularly in the cooler months. Using dried fruit is the answer. 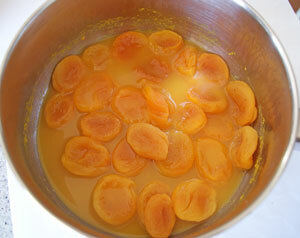 First the apricots are soaked in orange juice to plump up the fruit and add flavor. 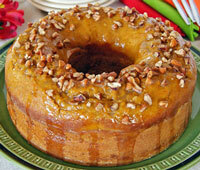 No butter is used in this recipe, the apricot pulp and orange juice providing the extra moisture and sweetness. Place apricots and first measure of orange juice in a saucepan. Bring to the boil, then reduce heat and simmer for 10 minutes. Remove from heat and cool. 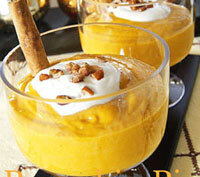 The apricots should be soft and mushy and have absorbed much of the orange juice. 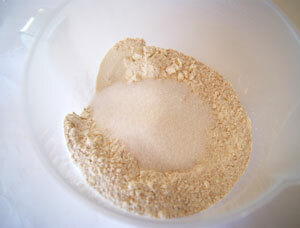 Mix flours, baking powder, baking soda and sugar together in a bowl. In another bowl add the eggs, milk and oil and lightly beat together. 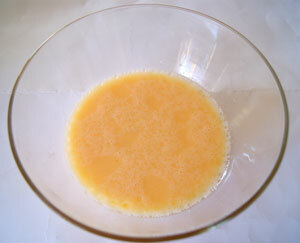 Add the second measure of orange juice to the apricots. If the apricots are still slightly firm, finely chop them into small pieces. This will give you lovely bits of apricot through your muffins. Make a well in the center of the dry ingredients. 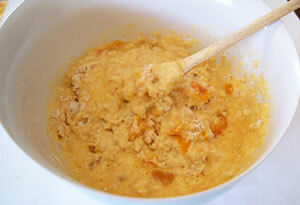 Pour apricot mixture and egg mixture into dry ingredients and mix to just combine. 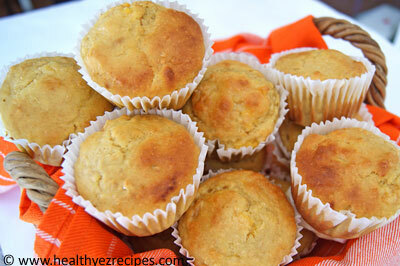 Spoon the mixture into greased muffin tins or muffin cases until three-quarters full. Bake at 200ºC / 400°F for 15 minutes for regular muffins or 20 minutes for jumbo muffins. The muffins are ready when they spring back when lightly touched. Remove from oven, leave in tin for 5 minutes then transfer to a wire rack to cool completely. 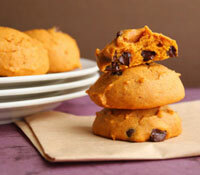 To make sure these muffins stay healthy, use sugar-free orange juice. 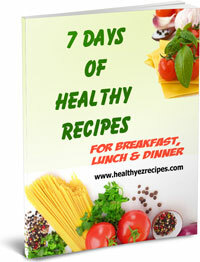 Sign up to the newsletter The Nourishing News and receive this free Ebook. A whole week's worth of healthy meal ideas for breakfast, lunch and dinner (including sweets). I promise to use it only to send you The Nourishing News. 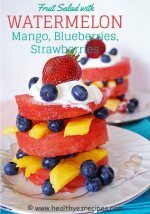 Celebrate summer with this watermelon fruit stack. Is it a cake or a fruit salad? Made entirely from fresh fruit then garnished with berries and yogurt. How to turn beef into the perfect roast. 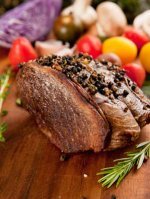 Learn how to cook roast beef, with details on cooking times, temperatures and the different beef cuts. Give your stuffing pride of place next to the turkey with our quinoa stuffing. Ditch the traditional for a high-protein, gluten free and healthy variation. 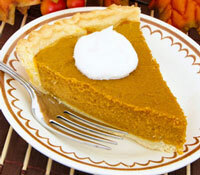 Copyright © HealthyEzRecipes 2012- 2014 - All rights reserved - No reproduction permitted without permission. The information found on this website is not intended as medical advice or to replace the advice and care of a qualified health care professional.